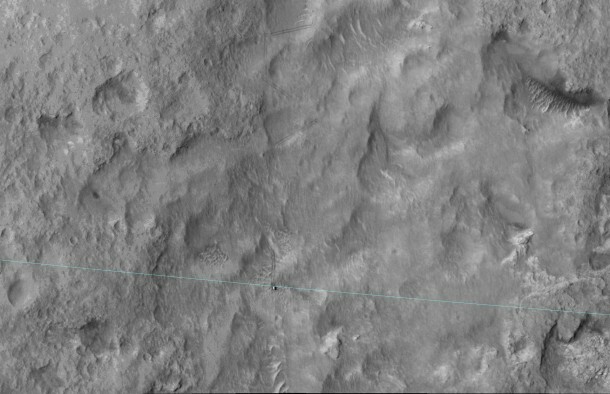 The High Resolution Imaging Science Experiment (HiRISE) camera on NASA’s Mars Reconnaissance Orbiter photographed the rover on June 27 at the end of a drive that put Curiosity right on the ellipse boundary. NASA’s Mars Science Laboratory Project is using Curiosity to assess ancient habitable environments and major changes in Martian environmental conditions. NASA’s Jet Propulsion Laboratory, a division of the California Institute of Technology, Pasadena, manages the Mars Reconnaissance Orbiter and Mars Science Laboratory projects for NASA’s Science Mission Directorate in Washington. HiRISE is operated by the University of Arizona, Tucson. The instrument was built by Ball Aerospace & Technologies Corp., Boulder, Colorado.